The sleeve box is shiny gold as its album name. It can be seen from afar. 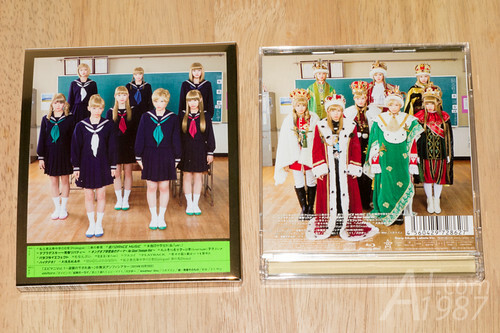 The sleeve box and cover is the same except the costumes. 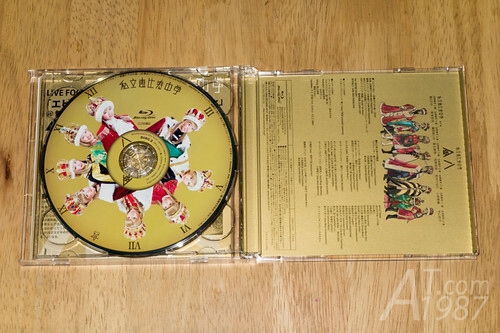 The audio CD is painted gold. Very beautiful. 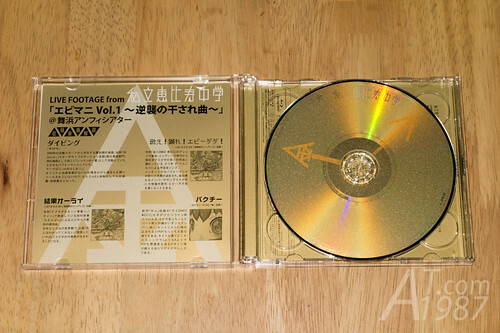 The limited edition comes with Ebimani Vol. 1 Gyakushū no Hosare-kyoku Blu-ray Disc. It contains the C/W songs performed on that live. 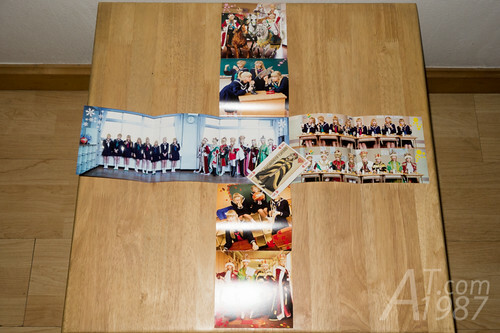 Booklet can be unfolded to see the photos inside. 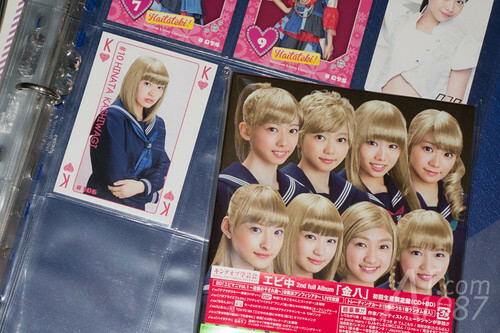 As usual you will get a trading card from the first batch of CD. This time I got Hinata one. Sorry for the bed sheet. 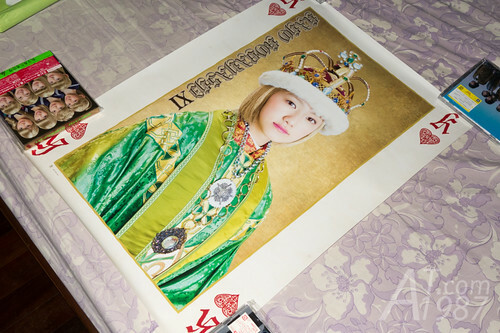 This album external bonus is 2 side poster. There are 4 kind of them. 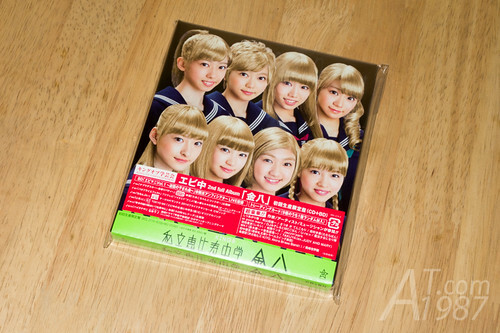 I got Kaho and Riko one. I didn’t take the photo of Riko side because the poster was tightly rolled and it kept roll back while I tried to flatten it. I don’t want to damage it. The songs in this album are still Ebichu usual style. It’s fun to listening as their earlier album. 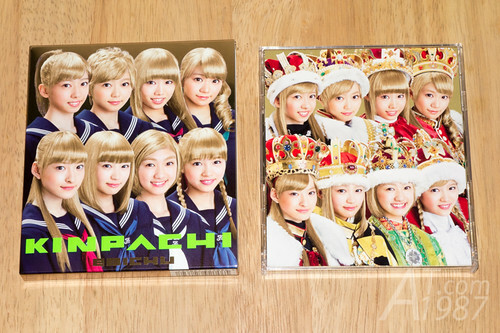 Kinpachi is also released in high resolution audio format a week earlier before the audio CD is released. So I have to buy both. You can buy Ebichu goods from CDJapan.